Nexcare Animal Print Waterproof Bandages can be easily applied with one hand thanks to its intuitive design and are perfect for treating minor wounds such as cuts, scrapes, blisters and insect bites. Whether at the beach, playing sports or swimming, the bandages have staying power and will keep children protected through all of life's fun and games. Ultra-thin, breathable and comfortable to wear, the wild and fun bandages are available in a range of striking animal print designs including zebra, elephant and leopard. Question: Why are the Nexcare Animal Strips good for kids? How can they be used? Diana Cornall: Kids are always prone to bumps, bruises, cuts and scrapes and it's a recipe for tears. These situations can cause a dirty wound which is prone to infection. It's important to make the experience as atraumatic as possible. Clean the wound with running water and possibly an antibacterial soap if particularly dirty. Pat the skin dry and apply a fun strip or bandage such as the Nexcare Animal Print Bandages so the tears stop flowing. Kids can then be strong as a tiger, smart like a giraffe and waterproof as a croc. Question: What are your top tips for preparing for a family fun day out? Diana Cornall: Pack and plan based on your activity. Run through in your mind what will happen on the day out and plan accordingly. Do a bit of online research on parking and eating facilities for example. Most of the stress on a day comes from unwelcome surprises like a 1 hour parking limit or $100 lunch bill. Question: What should parents always pack on a family fun day out? Diana Cornall: Making sure you are prepared for speed bumps so you don't derail the fun. Pack the necessities like, sunscreen, tissues, sanitizing hand gel and/or wipes, bottled water and a small first aid kit – carry some fun strips to divert the attention from tears to pride. Make the application of a Nexcare Animal Print Strip a fun event! Question: How can parents continue to protect their kids through all of life's fun and games? Diana Cornall: It's always a balancing act between letting kids have fun and games with the accompanying bumps and scrapes and not letting them be exposed to a dangerous situation. Make it a permanent fixture in your bag to have a first aid kit handy. 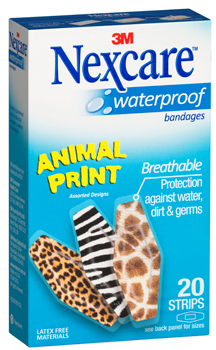 Question: Why do you recommend the Nexcare Animal Print Waterproof Bandages? Diana Cornall: Nexcare Animal Print Waterproof Bandages are a high quality product that will stay on and have fun designs. They are designed to be waterproof so kids can swim or bathe without the fear of pulling the product off. Each strips has a 360 degree diamond shaped seal to keep out dirt and germs. The non-stick pad will also make the removal less traumatic. Also, if you stretch the dressing out to remove rather than pull it back on itself skin and hair pulling is also minimalized. The adhesive releases. Question: What can Nexcare Animal Print Waterproof Bandages be used for? Diana Cornall: Minor cuts, scrapes and burns. Question: How can we keep our kids occupied on the upcoming school holidays? 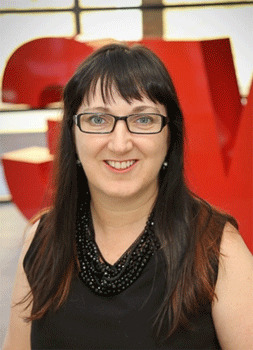 Diana Cornall: Have a look online – there may be a lot of activities that you can do in your local areas. They don't always have to cost money! Get out and see the natural wonders that our country has – we are so fortunate to have beaches, mountains, rivers and stunning national parks. Sometimes just packing a lunch and going for a drive in a direction you've never been is a wonderful way to explore and come across wonderful parks and interesting places. Use as directed. Consult a physician if there are signs of infection such as fever, pain, redness, swelling, itching, rash or burning.